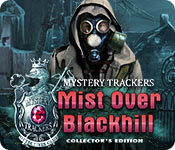 Mystery Trackers: Mist Over Blackhill Collector's Edition. 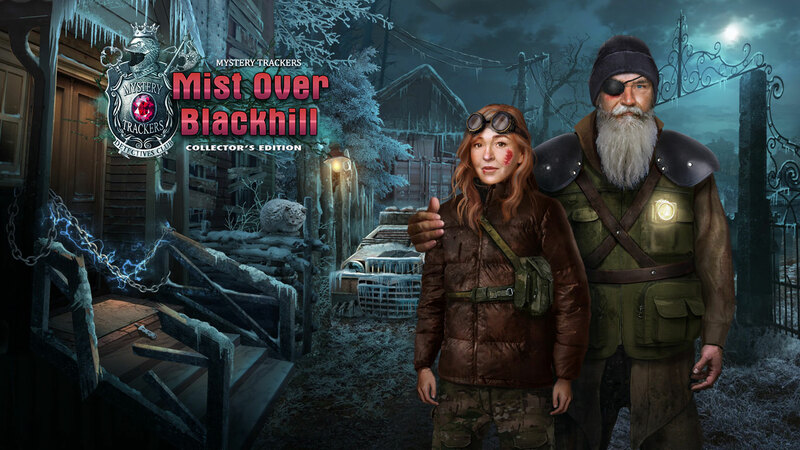 Mystery Trackers: Mist Over Blackhill Collector's Edition: Elephant Games, creators of Halloween Stories, Grim Tales, and Chimeras, invites you to track down the truth behind another thrilling supernatural mystery! For a seasoned Mystery Trackers detective, even a relaxing bike ride can quickly become a case! Passing through the town of Blackhill, you notice something is terribly wrong - the residents have gone into hiding, and an army of shadow monsters roams the streets! The activity seems to originate from the home of a local scientist who was conducting secretive experiments… but getting there will be dangerous. And what you discover when you arrive just might change the world as you know it! Can you uncover what happened before the darkness spreads? Find out in this thrilling Hidden Object Puzzle Adventure game! Mystery Trackers: Mist Over Blackhill Collector's Edition Walkthrough.